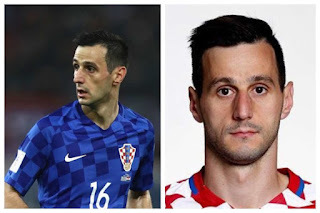 Croatian striker, Nikola Kalinic who was sent back home after he refused to come on as a substitute against Nigeria has rejected his World Cup silver medal. The striker who was sent home after their first group stage clash, is yet to receive his World Cup silver medal after his country came second at the 2018 World Cup tournament in Russia. According to Croatian media, the AC Milan striker turned down the medal after he was sent home from Russia 2018 just one game into the tournament. The federation’s technical director and his teammates had decided he should still be given one, having been part of the original 23-man squad, but Kalinic refused to accept it. The football star refused to come on as a substitute in Croatia’s opening 2-0 win over Nigeria due to a back problem as he claimed but was sent home by coach Zlatko Dalic. After the incident, Coach Dalic said the AC Milan forward did the same in a World Cup warm-up against Brazil and also during a training session.